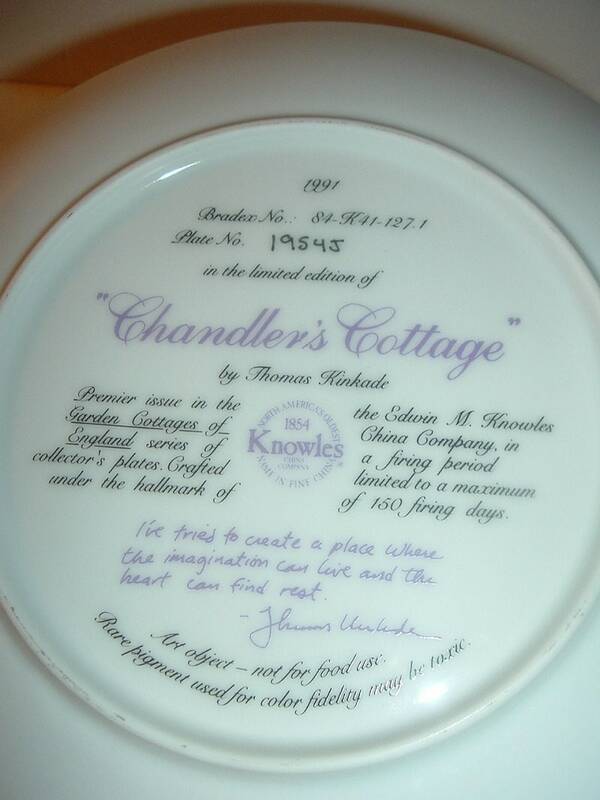 This 1991 Knowles Thomas Kinkade collector plate Chandler's Cottage measures approx. 8.5" across. 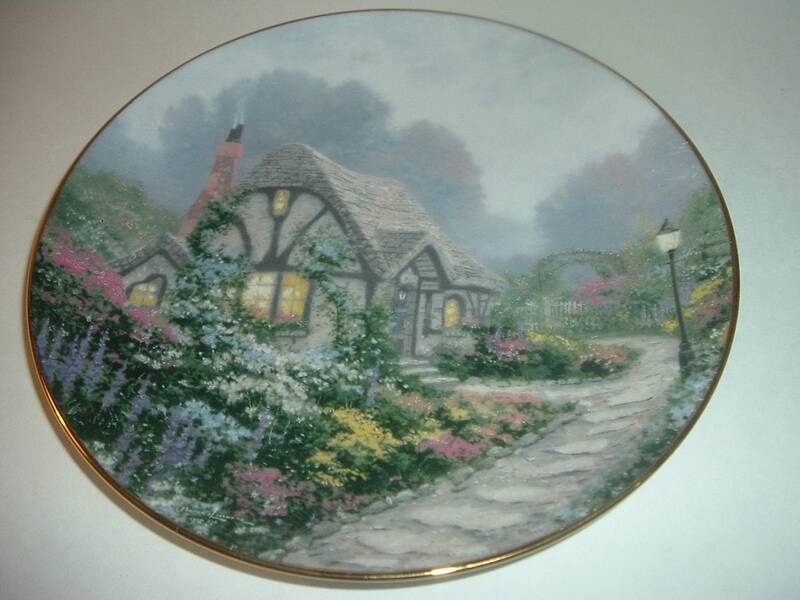 This is the first issue of the Garden Cottages of England series, and is in excellent condition with no chips, no cracks, and no wear or scratching. No box or paperwork with this one. I gladly combine shipping.